An otherwise staid antitrust trial reached a dramatic crescendo Tuesday as the trial for the Justice Department lawsuit to stop AT&T and Time Warner's merger neared its end. On the stand Tuesday as a rebuttal witness was the government's expert economist, Professor Carl Shapiro of the University of California at Berkeley. The crux of the Justice Department's arguments against the merger has rested on Shapiro's analysis that the merger would cause a price increase of around 45 cents per month per cable subscriber across the country. 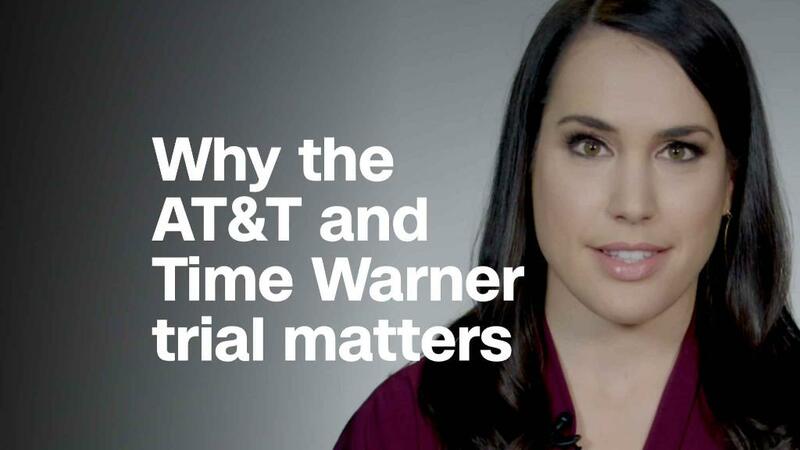 But AT&T and Time Warner lead attorney Dan Petrocelli accused Shapiro of purposely using old data and higher inputs for his model, resulting in his finding of a price increase. Adjusting some of those inputs, like the number for AT&T's profit margins, Petrocelli argued, would result in price increases that could be as low as 13 cents per month per subscriber. Shapiro conceded that AT&T's profit margins have decreased since 2016, the year from which his data was extracted, and that if he had included the lower numbers from 2017, the overall price increase for consumers would be lower. But he said he received the updated profit margin data from AT&T at the last minute, and accused Petrocelli of cherry-picking that data to reach the lower number. "You've got some nice flair," Shapiro icily told Petrocelli at one point. Shapiro also said Petrocelli was focusing on the low end of what he said in the report was a range of possibilities and that he could have just as easily focused on the high end. "Apparently I'm suffering the consequences of being conservative," Shapiro said. The exchanges between Petrocelli and Shapiro turned contentious at times. At one point Petrocelli and Shapiro were talking over one another, leading Judge Richard Leon to call on both sides to calm down. Later, Leon told Shapiro not to "editorialize" his answers and to focus on directly addressing Petrocelli's questions. Shapiro conceded that he had "made a mistake" in his prior testimony when he said that a separate key data point about the number of subscribers who would possibly switch providers if they lost access to Turner networks, based off of a study from consulting firm Altman Vilandrie, had not changed. In fact, that number had changed, from a lower number in one version to a higher number in the version Shapiro used. Shapiro was brought back to the stand to rebut the testimony of AT&T's expert economist, Professor Dennis Carlton of the University of Chicago, who argued that Shapiro's data inputs and method were flawed. Adjusting just a few of the data inputs would completely negate the possible price increase, Carlton said during his testimony earlier this month. Shapiro said he stands by his original results, even after hearing the testimonies of Carlton and other witnesses who have taken the stand in the past six weeks. Carlton, Shapiro said, was pulling in "faulty data" and that he believes Carlton's decision to focus on certain months of profit margins, "reflects a certain bias in his approach in favor of his client," AT&T. Shapiro may be back on the witness stand Thursday for further questioning. Once Shapiro's testimony wraps, the trial will enter closing arguments. Then Leon will take several weeks to issue his opinion on the case, which will have broad implication not only for this particular deal, but for many other mergers in the future.